FREE IN HOME ESTIMATES Call us now for great low prices on the highest quality products and services. Founded in 1971 Denmark is one of the oldest and most experienced heating, air conditioning and refrigeration contractor’s in Michigan. We are a customer-driven, technology-focused, and a team-orientated organization from the ground up. Bond and License: We hold all necessary Michigan contractor’s licenses; and are insured and bonded, which guarantees that your job will be done right. Quality Control: At Denmark Heating and Cooling we train and retain only a select group of carefully screened, dedicated professionals who meet our high standards and subscribe to our philosophy of being customer driven. 24/7 Coverage: We are here for you 24 hours a day, 7 days a week, 365 days a year. In times of need, when you reach out for assistance, you will be greeted by a caring professional, not voice mail. Risk Mitigation: Our responsibility extends beyond the system to encompass all systems, rules, and regulations that govern the safe operation of your home or facility. Communication: We believe good communication is the cornerstone of a strong relationship. Keeping you informed of the condition of your equipment, as well as state and federal regulations, is our mission and your right. We have designed, built and serviced thousands of commercial, industrial and residential systems across Michigan over the last 40 years; and that is why Denmark is: “The most trusted name in Heating and Cooling”. We are also an authorized repair facility for many commercial and industrial heating and cooling and chiller manufacturers in the United States and in many countries around the world. We are absolutely committed to helping our customers achieve top performance with their equipment. We at Denmark are successful because we keep our promises. Denmark Heating & Cooling stocks and ships parts all over the world, give us a call today for the parts you need! Metric size p.v.c, a.b.s, copper pipe, and fittings. We have European Pipe threaded fittings and flanges, call today, we ship world wide. The new way to improve air quality in homes and buildings uses Ultra Violet lights. 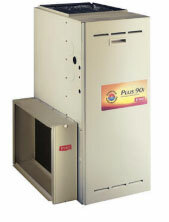 They sterilize the air and disinfect the interior of furnances and air conditioners. We sell and install these. Our thorough A.C. tune up makes sure your system is performing at its peak capacity. Remember according to ASHRAE, 34% of air conditioners are undercharged and 28% are overcharged and airflows are 15-25% less than optimum values. Denmark Heating and Cooling offers free estimates, call us now for great low prices on the highest quality products and services. Come visit our state of the art facility at 2280 Hix Rd. Westland, Michigan or call us at 734.722.3870 anytime. Our warehouse and vehicles are stocked with a large inventory of parts and equipment enabling our service technicians and installers to perform the job on the spot. In addition, our factory trained industrial refrigeration technicians are ready to travel anywhere in the country to solve your equipment warranty or special refrigeration needs. Heat pumps are installed in homes and buildings in Michigan and substantial savings in energy costs result. The upside of HEAT PUMPS is they save money in the summer and the winter because they are used for heating as well as cooling. They are even less expensive to operate for heating than natural gas. There are substantial tax incentives and rebates offered for heat pump installations. Call Denmark Heating and Cooling now for a free in home survey on how a heat pump can save you dollars. Results are already adding up. Americans, with the help of ENERGY STAR, saved enough energy in 2013 alone to avoid greenhouse gas emissions equivalent to those from 25 million cars — all while saving $14 billion on their utility bills. Denmark sells and installs ENERGY STAR heating cooling and refrigeration equipment. A tax credit can provide significant savings. It reduces the amount of income tax you have to pay. Unlike a deduction, which reduces the amount of income subject to tax, a tax credit directly reduces the tax itself. You must refer to the final Internal Revenue Service (IRS) rules and Denmark to determine what qualifies for the tax credit. TUNE-UP YOUR FURNACE OR BOILER and Save big on your gas heating bill by calling us for our hot tune-up. We make sure all components are operating at peak efficiency for ultimate performance and safety. We will analyze the efficiency of your furnace. Call now. Simply print out the coupon under the special offer button and receive a 15% off special coupon. Hurry, offer expires soon.